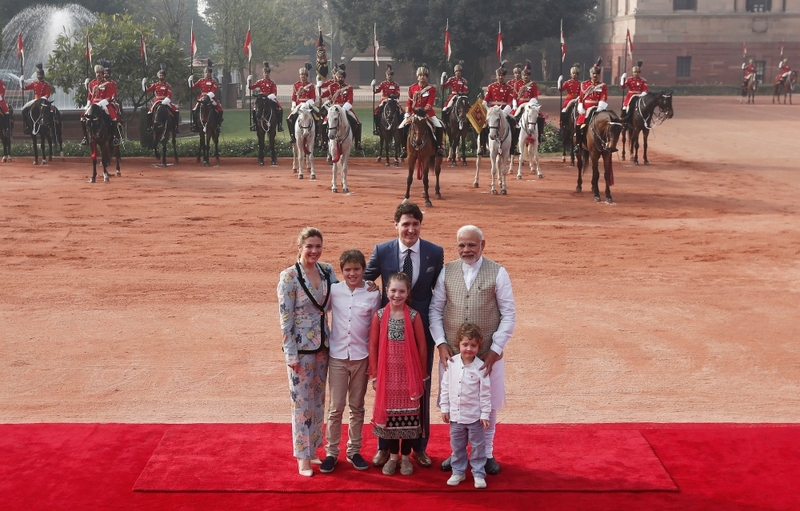 Canadian Prime Minister Justin Trudeau, his wife Sophie Gregoire Trudeau, their daughter Ella Grace, and their sons Xavier and Hadrien pose for photographers with Indian Prime Minister Narendra Modi during Trudeau's ceremonial reception in New Delhi. 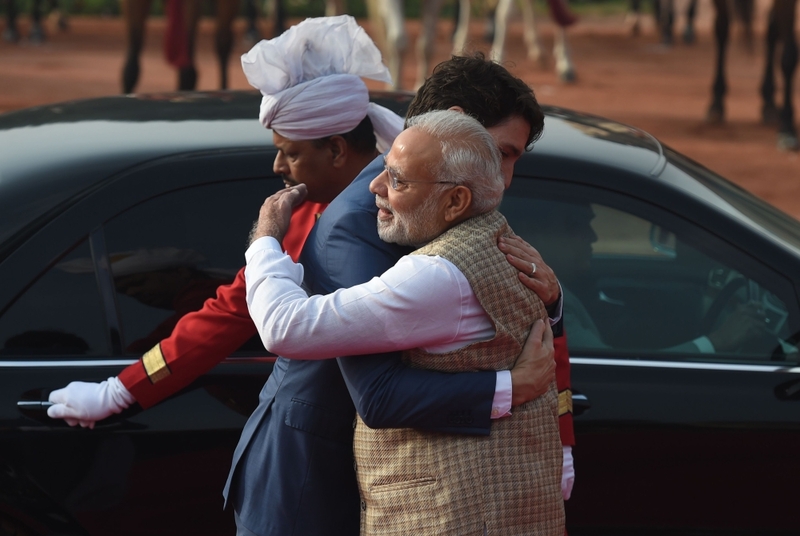 India's Prime Minister Narendra Modi (R) embraces Canada's Prime Minister Justin Trudeau (C) during a ceremonial reception at the Presidential Palace in New Delhi. 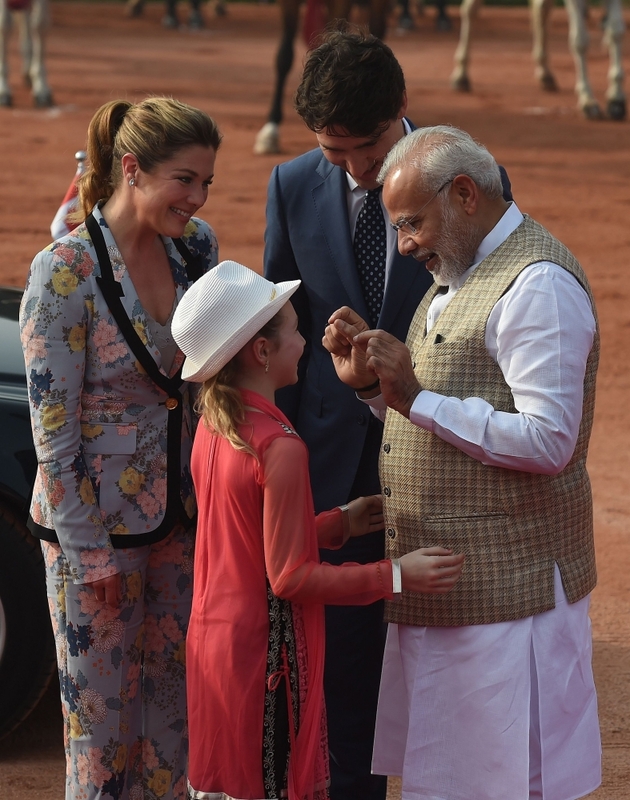 Canada's Prime Minister Justin Trudeau (C) and his wife Sophie Gregoire Trudeau (2nd L) watch as India's Prime Minister Narendra Modi (R) talks to their daughter Ella-Grace. 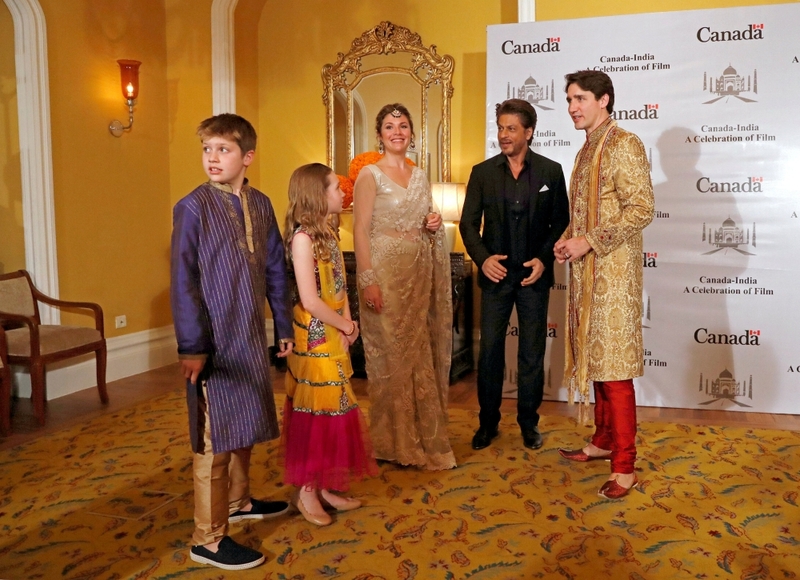 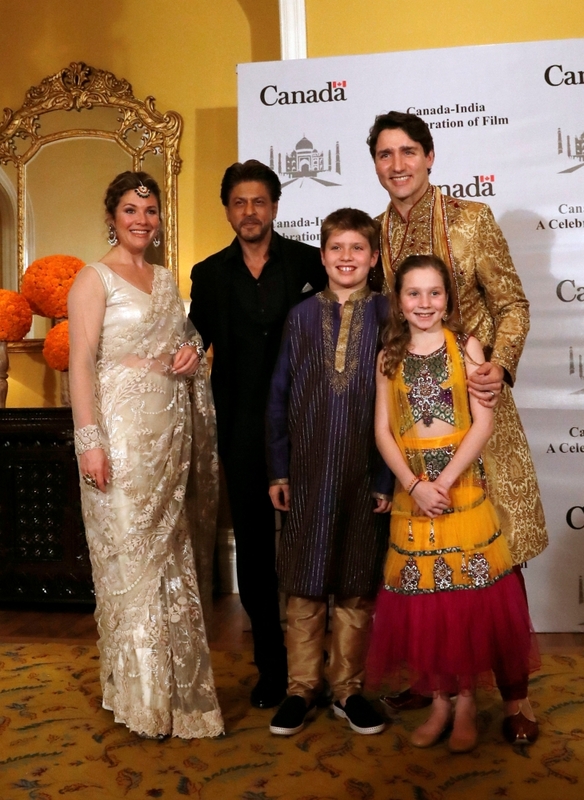 Canadian PM Justin Trudeau and his family pose with Bollywood actor Shah Rukh Khan in Mumbai. 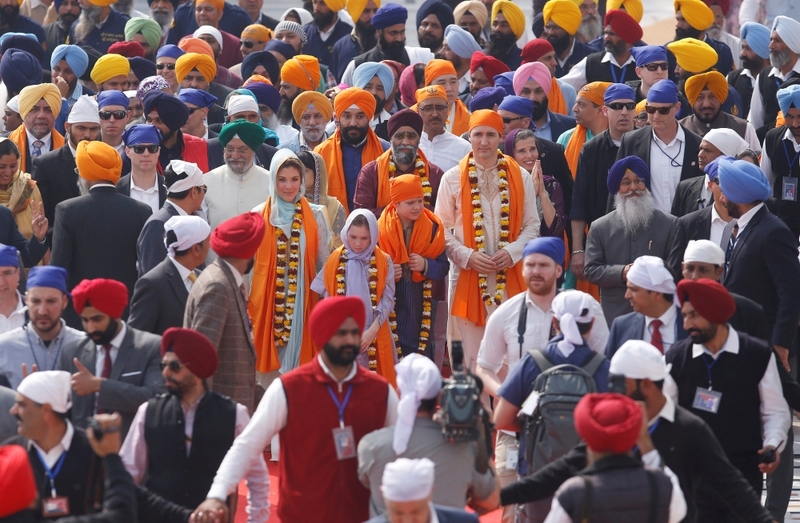 Justin Trudeau his wife Sophie Gregoire (center-L) daughter Ella Grace and son Xavier walk inside the premises of holy Sikh shrine of Golden temple in Amritsar. 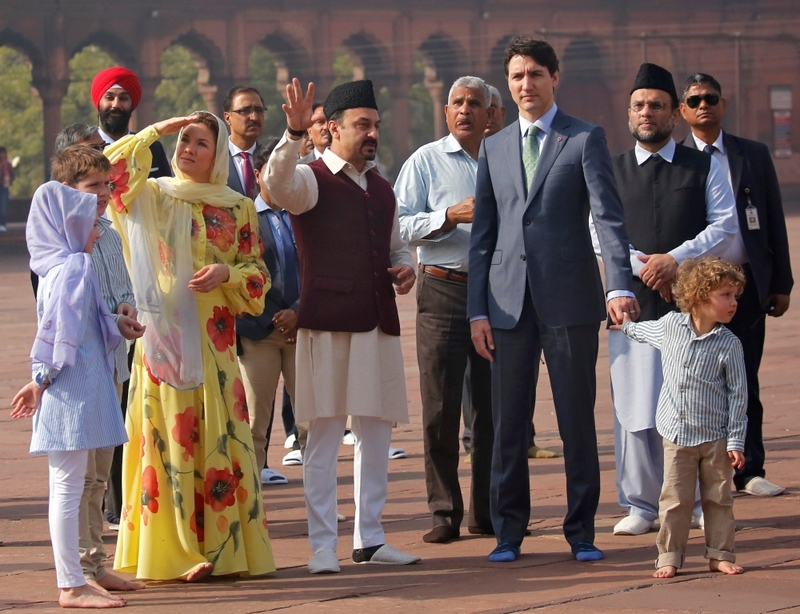 Syed Tariq Bukhari, general secretary of Jama Masjid advisory council, shows around Canadian PM Justin Trudeau, Trudeau's wife Sophie Gregoire, their daughter Ella Grace and sons Hadrien and Xavier the Jama Masjid in Delhi. 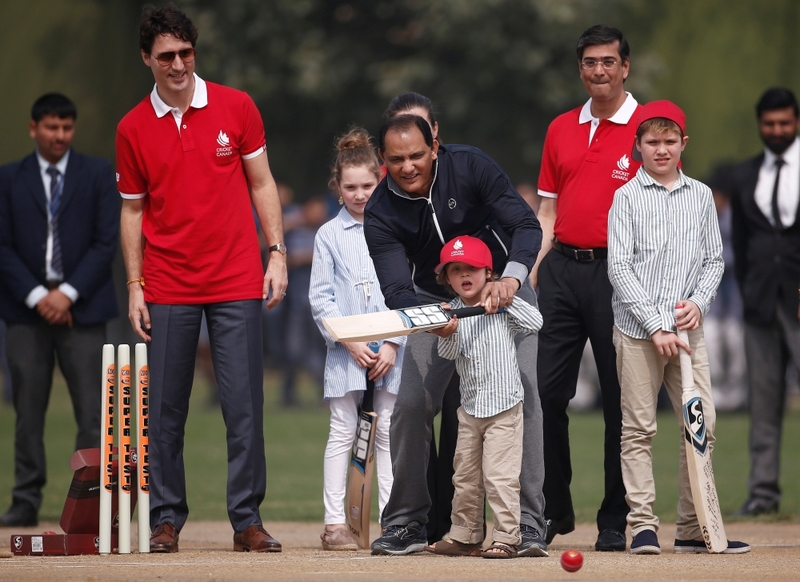 Former Indian cricket team captain Mohammad Azharuddin helps Canadian Prime Minister Justin Trudeau's son Hadrien to play a shot during a cricket event at a school in New Delhi.